March 11th to 17th was National Sleep Awareness Week and Roper Physical Therapy wants our patients to examine their sleep habits! As we say in our mission, we recognize the 5 pentagons of wellness: physical, mental, emotional, and spiritual aspects that must be addressed for long-term healing and on-going wellness” and this includes sleep health. According to the Centers for Disease Control and Prevention, about one third of adults in the United States suffer from sleep deprivation. Sleep is important for overall health and wellness with a lack of sleep being linked to conditions such as diabetes, obesity, and depression. 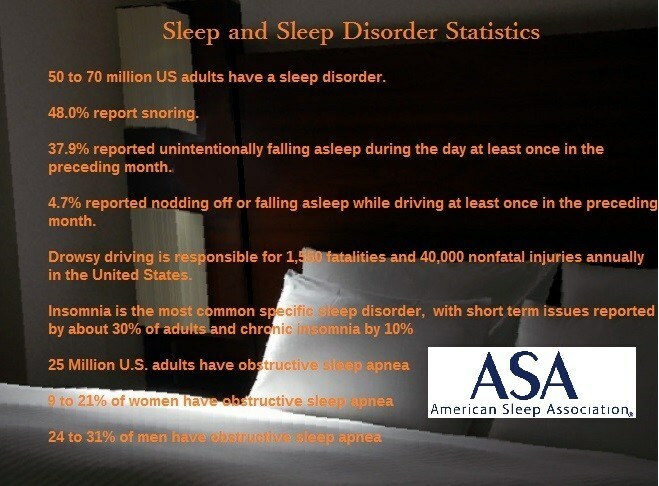 Additionally, studies show connections between sleep deprivation and mistakes at work and motor vehicle crashes. Adults need 7 or more hours of sleep a night for optimal, while teenagers and children need more sleep than adults. Furthermore, according to a 2002 National Sleep Foundation poll, women are more likely to suffer from insomnia and sleep deprivation. This lack of sleep can be due to hormonal imbalances during cycles as well as family and work responsibilities. Decide on a realistic time for bed and commit to that schedule. Going to bed about the same time every night, even on weekends, trains your brain to recognize a specific time as bedtime. Put down the phone! Or the laptop, or the tablet, and turn off the TV. The general rule is to unplug about one hour before you want to go to sleep. Studies have found that the light emitted from phones, tablets, etc. affect your body’s production of melatonin, which is the sleep-inducing hormone. Get some sun. Getting an adequate amount of sunlight during the day can aid in the production of melatonin, which will help you sleep better. Get active during the day! Being active and exercising during the day is great for you physically and mentally. It also combats stress and restlessness that may affect your sleep! BUT, be sure to finish your exercise regime at least 3 hours before bedtime, because exercising right before bedtime can make it difficult to fall asleep. Set the scene. Your bedroom should be dark, quiet, and cool for the great night’s sleep. The room should be between 60–67 degrees Fahrenheit, while fans or humidifiers create white noise and can be soothing. Make your bedroom sleep-friendly. In creating a sleep-friendly environment, your mattress and pillow(s) should be comfortable. You may prefer a firm or soft mattress and pillows, so be sure to try out different types to find the one that is just right for you! Ban electronics and other distractions from the bedroom and make the room an oasis for sleep. Do not eat large meals before bedtime. Eating large or heavy meals too close to bedtime can prevent you from sleeping well. Limit or avoid alcohol and stimulants close to bedtime. Skip the coffee and other caffeinated beverages and food after late afternoon. Also, avoid nicotine and alcohol when its close to bedtime. If you think you have a sleep disorder, consult your physician. ← Get Your Rear in Gear!